There seems to be no end in sight to the infighting and alleged double standards rocking the Democratic Alliance in Tshwane. 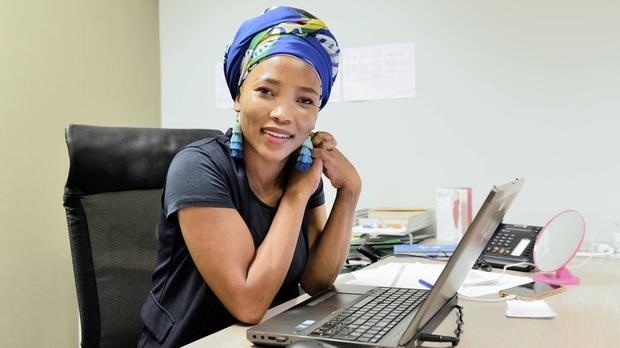 DA councillor Nkele Molapo’s suspension from the party’s Tshwane caucus this past weekend has this week been credited to her having leaked confidential party information to Economic Freedom Fighters (EFF) leader Julius Malema. But questions have been asked: why was she suspended but other party members accused of other indiscretions were believed when they denied them. Molapo’s suspension occurred the same weekend that alleged text message correspondence between DA caucus whip and Gauteng shadow MEC for roads and transport Fred Nel and deputy chief whip Crezanne Bosch made the rounds in which they allegedly used racial slurs against Molapo and DA Tshwane regional chairperson Abel Tau. Molapo, who shot to fame when she was appointed DA provincial media manager ahead of the last elections, was accused of sending Malema a screenshot of an internal caucus discussion on the eve of a Tshwane council meeting that was to discuss the future of city manager Moeketsi Mosola. The message, allegedly forwarded to Malema by Molapo, was screen-grabbed from the DA Tshwane Caucus WhatsApp group, after apparently being sent by DA councillor Kingsley Wakelin. The message reads: “The ANC will back us in the voting to suspend the CM (city manager) I think and so would the EFF, as I don’t think neither have the capacity, will or appetite to run the city before the national election. This led to the EFF not voting in support of firing Mosola in council. Even though Molapo denied leaking the information, she was immediately served with a letter of intention to suspend and asked to give reasons as to why she should not be suspended. On Saturday Molapo was called by DA caucus chairperson Gert Visser and verbally informed of her suspension. Molapo said she had been made aware of the allegations that she had shared confidential information with the EFF but categorically denied having done so and refused to comment on the matter. She said she was still unclear about the exact reason for her suspension. Nel and Bosch were asked to explain their alleged text message correspondence. DA Gauteng chairperson John Moodey said Nel denied posting the conversations “and has proclaimed that he is willing to be investigated and to subject himself to a lie detector test”. The DA’s national spokesperson, Solly Malatsi, also said: “The party was made aware of the fact that this is a fabricated text. The two members involved have sworn to the fact that it is indeed fake. A DA member in the Tshwane region questioned the double standards in the manner in which the two cases had been handled. “White members are presumed innocent until proven guilty but Molapo was never afforded the same opportunity to give her side of the story. “This goes beyond abiding to party disciplinary structures; it’s people using these incidents to get rid of vocal black members whom they view as a threat,” said the DA member. Tshwane ANC caucus spokesperson Lesego Makhubela said he was not surprised by Molapo’s suspension as there has been “rumours doing the rounds that the white DA faction was actively seeking to do away with vocal black DA members whom they view as a threat to their hold on power”. “She also needs to stop crediting her support for Tau as the reason why there are attempts to get rid of her. We also supported Tau and no one is trying to remove us. She and Tau are too close and her ill-discipline is the only reason why she has been suspended,” said the source.